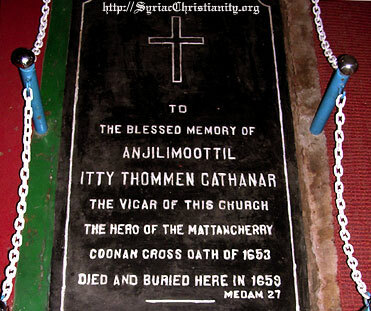 Anjilimoottil Itty Thommen Kathanar (priest) is one of the most noteworthy leaders of the Malankara church who bravely resisted the Portuguese persecutions in the 17th century. He was the chief adviser and the close aide of the then head of the Syrian Christians, Thomas Arkadiyokan (who later got ordained as MarThoma I Metropolitan). After the historic ‘Koonan Cross Pledge’ of 1653, together they provided a great leadership for the end of the Portuguese dominance over the Malankara Syrian Christians, thus paving way for the re-establishment of the apostolic faith and traditions of the Syrian Church. 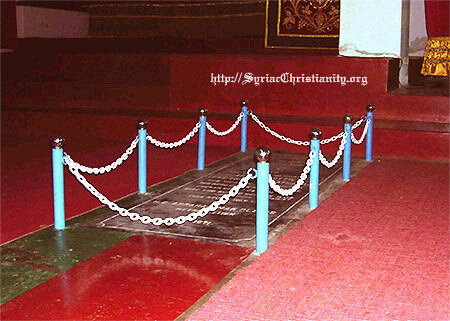 When in 1652, the Portuguese imprisoned the Patriarch Mor Ignatius Hidayatulla (Ahatulla Bava) who came to India on the request of Malankara Syrian Christians in 1652, it was Itty Thommen Kathanar who gave leadership to the 25000 faithful assembled at Mattancherry (Cochin), protesting against the illegal move. Such a massive crowd was brought to the place only because of this respectable priest's heroic leadership. As the faithful assembled there came to know that His Holiness was drowned in the sea, they became very agitated. Instead of a direct clash that would spill much blood, the foresight of Itty Thommen Kathanar at the moment gave a different turn to the incident. Under instruction from Itty Thommen Kathanar, the Syrian Christians assembled there, tied a huge rope around the ancient Stone Cross in the Churchyard at Mattancherry and everyone of the large gathering, numbering about 25000 held on to it, and pledged that they and their generations to come, will never accept the Roman Catholic faith that the Portuguese tried to forcibly introduce and vowed to always remain loyal to the Apostolic See of Antioch, maintaining the ancient rites and traditions of the Holy Church. But for this pledge and the leadership of this great and noble priest, the whole Syrian community would have been forced to convert into the Roman Catholic belief. This great incident that happened in the month of January AD 1653 (Friday, Malayalam era - 828, 3rd Makaram) is recorded in the history as 'KOONAN KURIZ SATHYAM' (in Malayalam) --- 'the PLEDGE before the KOONAN (leaning) CROSS'. Later Itty Thommen Kathanar convened a meeting of the Syrian Christians at Alangadu Church and decided to carry on the Church administration and formed a council of four members. Anjilimoottil Itty Thommen Kathanar, Kadavil Chandy Kathanar, Palliveetil Chandy Kathanar and Vengoor Geevarghese Kathanar were the members of this council. But later, two of these council members shifted their allegiance to the Roman Catholic Church following some tempting offers. At a time when Portuguese converted Syrian Christians to the Roman Catholic faith by offering money and gifts, Itty Thommen Kathanar bravely resisted the threats and offerings to him. When not only individuals but whole parishes began to desert Thomas Arkadiyokan (Mar Thoma I), it was Itty Thommen Kathanar who comforted him in his despair. He shared all the privations which the Thomas Arkadiyokan suffered in imprisonment and in wandering through the wilderness. Both Thomas Arkadiyokan and Itty Thommen Kathanar had narrowly escaped many a time the murder attempts of the Portuguese. 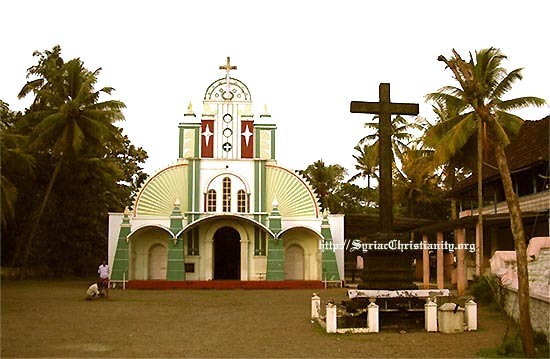 In 1659 when both were staying at Mulanthuruthy MarThoman Church, soldiers of the King of Cochin tried to kill them under instruction from the bishop of Roman Church, but they escaped miraculously with the help of two unknown parishioners of that church. Had they not escaped they would have had the same fate of Patriarch Mor Ahatulla Bava. Eventually the Portuguese hegemony declined and the Syrian Christians enjoyed more freedom. It was the popular resistance organised by Itty Thommen Kathanar following the murder of Mor Ahatulla Bava that brought the scattered Malankara Syrian Christians together. Inspite of several sufferings he worked hard to save the Church from the persecution of the Portuguese. It was only the sharp intelligence of Itty Thommen Kathanar and his able diplomacy that helped the Malabar church in the hours of crisis. He on behalf of the community tried many a times to contact the supreme head of the Church at Antioch for want of a duly consecrated Metropolitan to save the church from the crisis. Though not successful in his lifetime, his dream was fulfilled a few years later with the arrival of St.Gregorios Abdul Jaleel in AD 1665 who ordained Thomas Arkadiyokan as the first known Metropolitan of Malankara (Malabar) by name Mar Thoma. After an eventful life Itty Thommen Kathanar breathed his last on 10th May (Medam 27) 1659 and was laid to rest in his parish church at the St. Mary's Knanaya Jacobite Syrian Church (Knanaya Valiapally), Kallisserry where he was the Vicar. There is only a very few exceptions other than Anjilimoottil Itty Thommen Kathanar, who spend his wealth, efforts and life for the progress of the Syrian Christians. The life and history of this great Priest is a saga of selfless service.